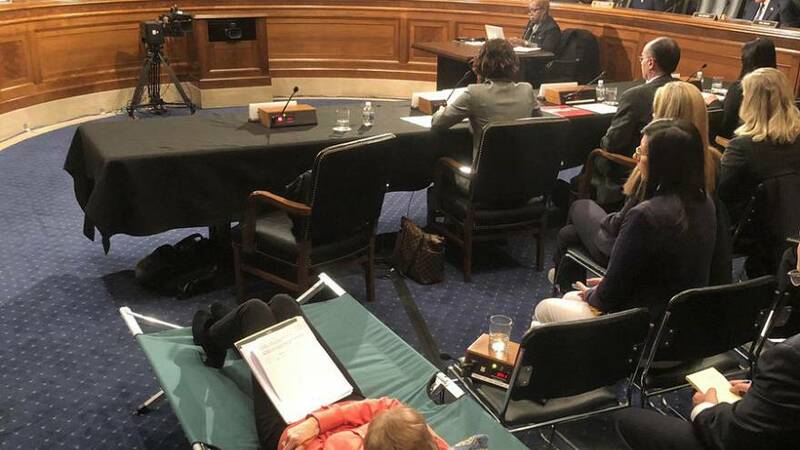 WASHINGTON — A woman with a severe chronic pain condition testified before Congress from a cot set up in the hearing room on Tuesday, calling for more research and a smarter approach to pain management amid efforts to curb opioid abuse. "The opioid crisis has only underscored our failure to provide adequate, safe, accessible treatment options for pain relief," Cindy Steinberg, the national director of policy and advocacy at the U.S. Pain Foundation, told members of the Senate Committee on Health, Education, Labor, and Pensions. Steinberg was injured more than 18 years ago at her workplace, when a stack of unsecured filing cabinets and cubicle walls fell on her. The accident left her with a chronic condition that makes it difficult for her to be upright for more than a couple hours at a time without severe pain and muscle spasms. Steinberg launched a support group in the wake of her injury and advocates on behalf of those with chronic pain conditions. 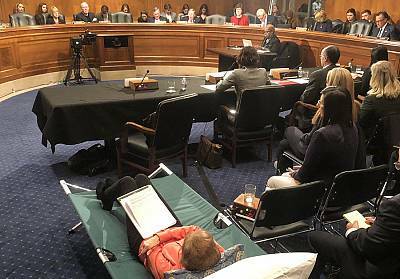 Chronic pain affects 50 million Americans, and is the leading cause of long-term disability, a copy of her planned testimony notes, but efforts to contain the opioid epidemic have damaged care plans and punished chronic pain sufferers. "In the near term, we can and must restore balance to opioid prescribing with de-politicized, rational and clear-eyed recognition of the risks and benefits of these medications," she said, according to her prepared remarks. "In the long term, we must invest in the discovery of new, effective, and safer options for people living with pain." Frank Thorp V reported from Washington, and Jane C. Timm reported from New York.